Tocal Homestead is an elegant Colonial Georgian country house with a five bay façade. Georgian houses were meant to convey a feeling of grandeur when seen from a distance. The magnificent fig trees and the positioning of the Homestead on a rise play an integral part in that design. Although it has the air of a large mansion, Tocal Homestead functioned as an intimate family home. Built of sandstock brick with a slate roof, the house is four rooms square with French doors opening out onto a three-sided verandah. Evidently much of the building material for the Homestead came from the Tocal property. The sandstone for the verandah was quarried here, the timber - including cedar and hardwood - came from the lush forests and even the bricks were fired on site. Caleb and Felix Wilson (father and son) had a home and a large business in Sydney and purchased Tocal from Tocal’s first settler, James Webber in 1834. In 1841 Felix commissioned Scottish architect, Moir to design the Homestead for use as a country residence. During the time the Reynolds family ran Tocal, from 1844 to 1926, the Homestead was a social hub of the district. A tennis court was located between the fig trees when they were considerably smaller. 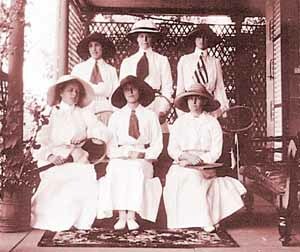 The family entertained regularly in the Homestead and held tennis parties on the front lawn. 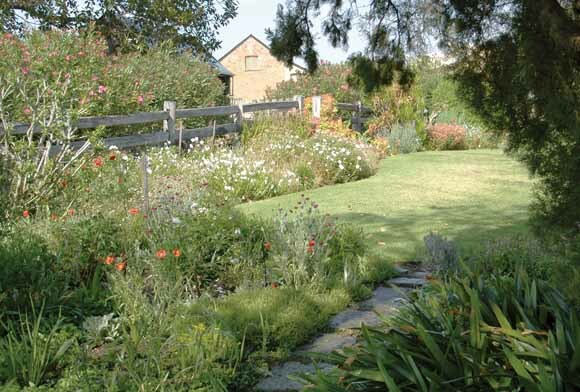 Tocal was open to many visitors and locals felt an attachment to the property. In 1926 the property was sold to Jean Alexander, the eldest of the four surviving unmarried Alexander siblings. All four took up residence at Tocal. The youngest and last private owner, Charles Boyd Alexander left Tocal and his other properties to establish homes for ‘destitute, homeless and orphan children’. It took many years to find a way to meet the conditions of the will but eventually Charles’ nieces, Marguerita and Myrtle Curtis, saw the completion of the CB Alexander Agricultural College while still living in the Homestead. The Alexanders were a far more private family than the Reynolds. The departure of the Reynolds left a void in the social life of the district and led to the misconception of the Alexanders as snobbish. Tocal Homestead is now cared for by the CB Alexander Foundation; its contents were bequeathed by the Alexanders and the Misses Curtis. The Valley garden (above) was a favourite spot of Myrtle and Marguerita Curtis. It most likely dates from the Alexanders’ time, and displays the style of garden favoured by early settlers, based on familiar English plants.